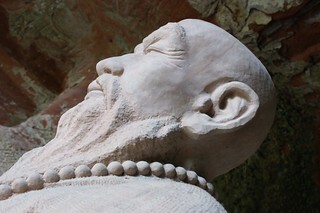 « Incredible China – example 16: Mugs and cups for all! 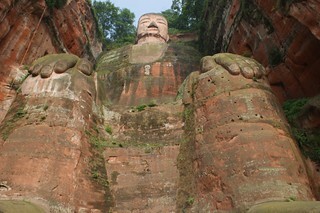 Our first stop was in Leshan, small city closed to Chengdu (1h30 by local bus), where we visited the famous Giant Buddha. 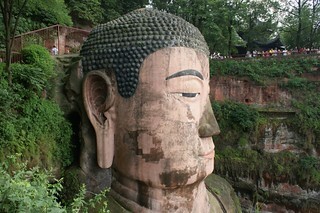 This Maitreya Buddha is known as the biggest stone statue in the world. It is 71m tall and 28m wide. 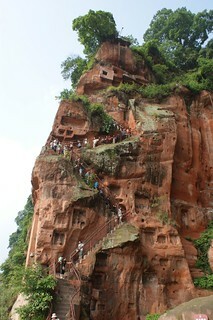 It was directly built in the mountain. The local tales to start this project say that this Buddha should calm the turbulent waters here where 3 different rivers (Dadu, Qingyi and Minjiang) meet. It should save the local ships and sailors during their trips on the rivers. 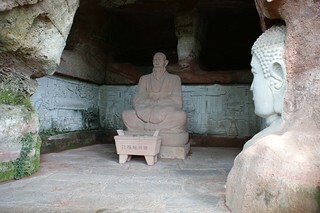 This legend became true during the Buddha construction. They removed so much stone from the cliff and deposited in the river below than the currents singularly reduced. 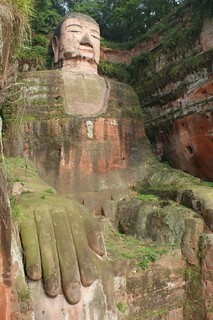 This site has been listed as an Unesco site in 1996 and became one of the most visited sites in Sichuan province. We faced this situation during our visit. Chinese people like to go to tourist sites during their days off. 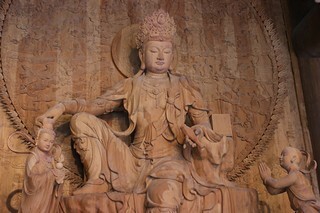 We had to queue during more than one hour to reach the stairs to go down and reach Giant Buddha feet. This site is really impressive even if numerous tourists are there. 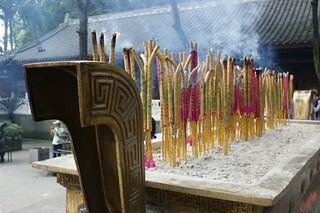 Moreover, it was easy to avoid the tourist road and be lonely in the Buddha Park. 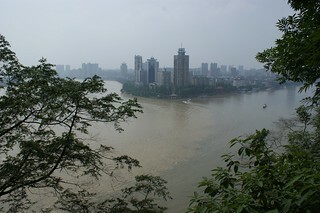 The rivers scenery with the emerging city on the back was also enjoyable.